Blue Jay Retreat - great views from the deck! 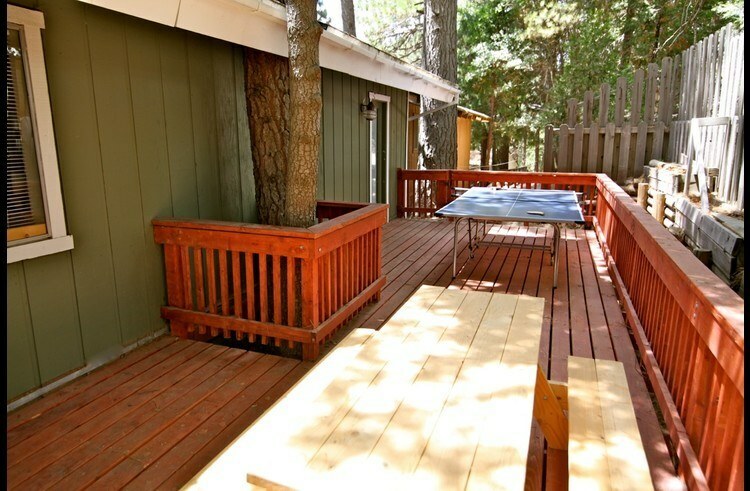 The Blue Jay Retreat is a remodeled vacation rental cabin near Blue Jay Village at Lake Arrowhead. 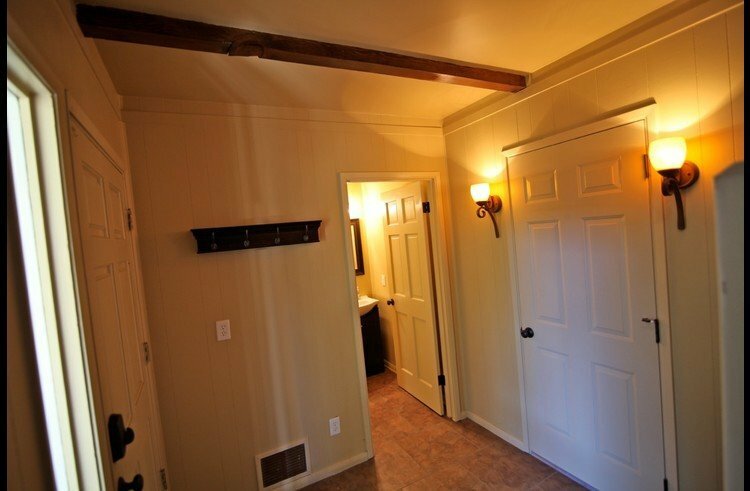 3 bedrooms and 3 baths, this cabin includes a custom sauna for relaxing after playing outside. 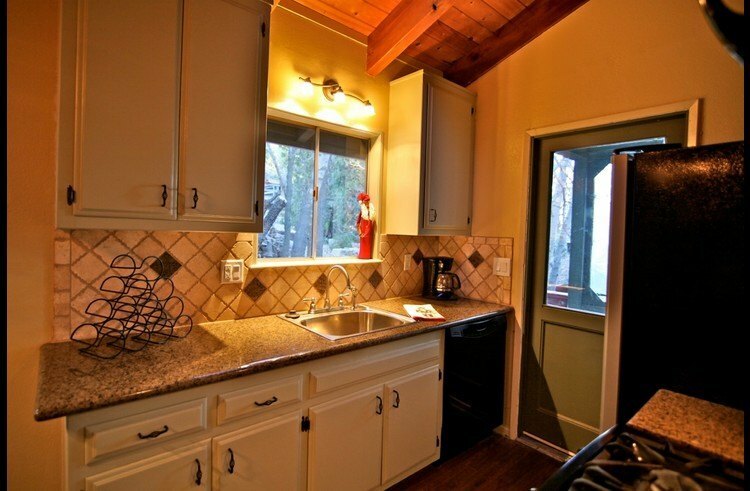 This retreat has a remodeled kitchen with granite counter tops and stainless steel appliances. 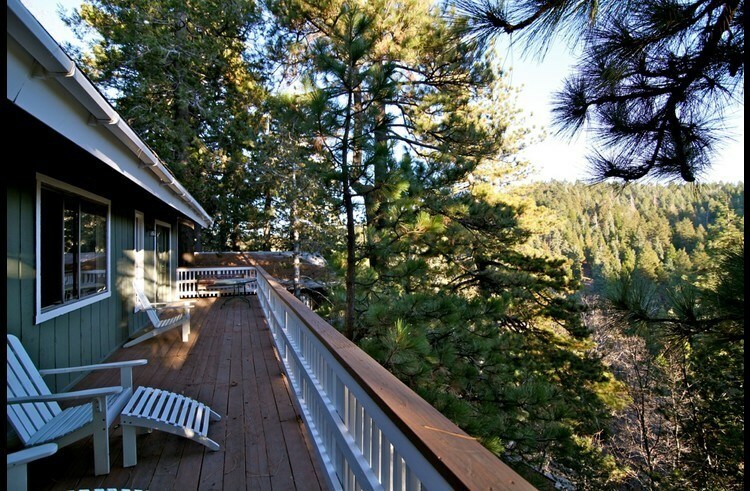 The deck off the front of the cabin provides incredible views of the surrounding mountains. 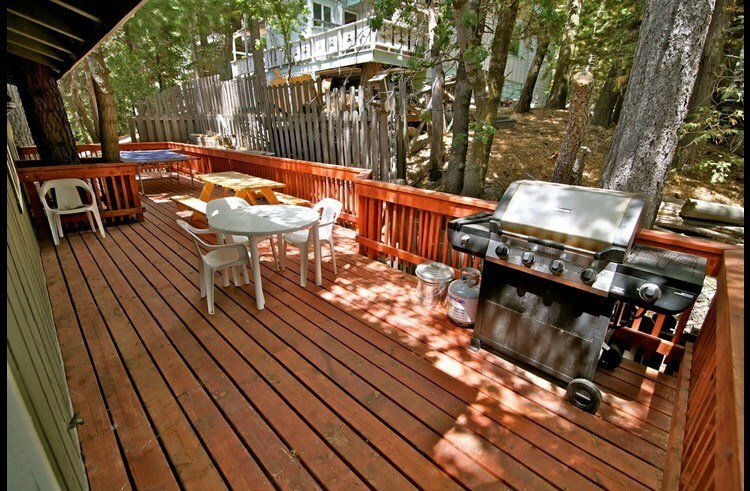 The deck in the backyard is great for BBQ and relaxing with family and friends. 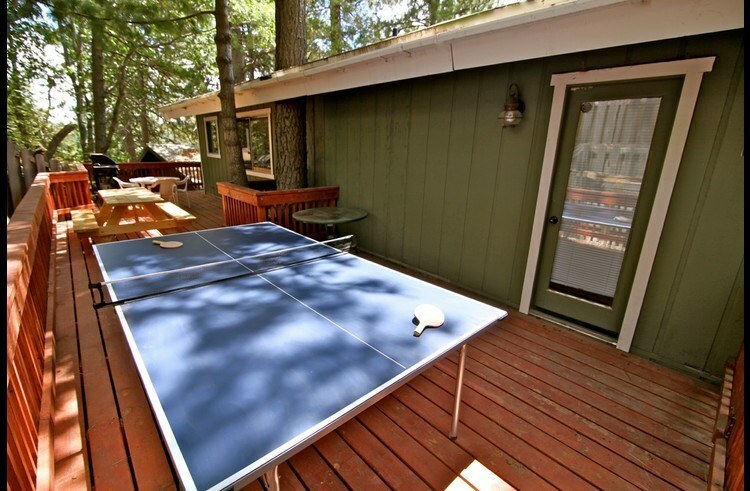 The back patio has a tournament style outdoor ping pong table - great outdoor entertainment for adults and kids. 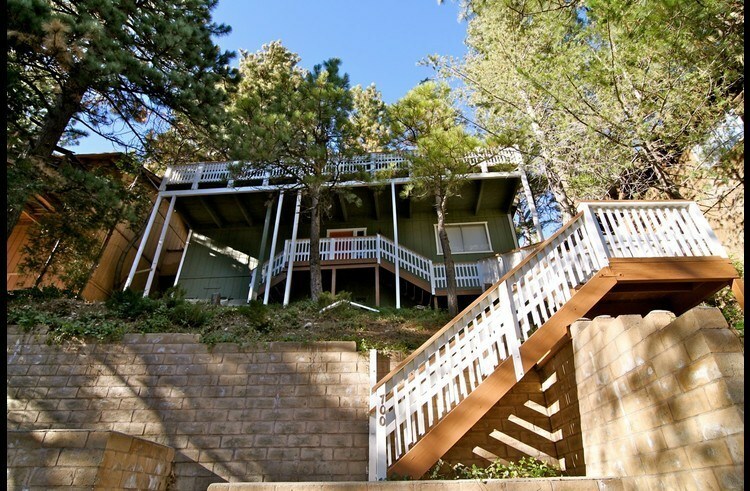 Escape the world below by ascending the long outdoor stairway leading up to the front door. 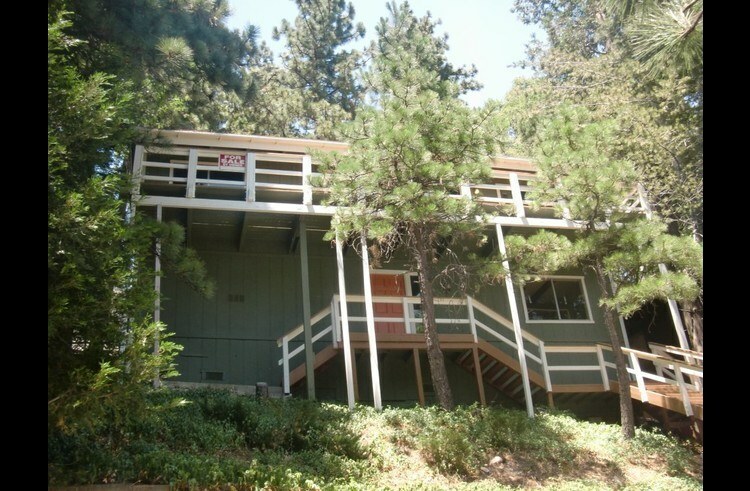 Many mountain cabins in Lake Arrowhead are built on a steep slope, and the Blue Jay Retreat is no exception with many stairs. 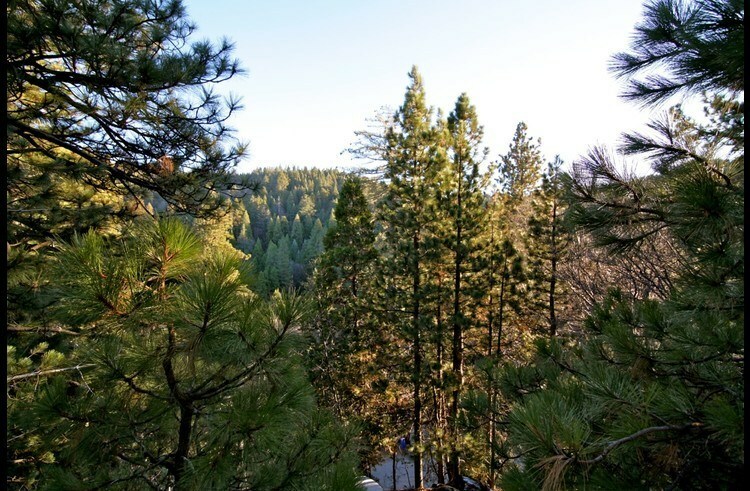 If you have mobility issues you should take the stairs into consideration...but the reward once you reach the top is a pleasant escape from it all with sweeping treetop views. If you have a larger group, please note that both the living room, dining area and kitchen are a bit small - if you have a mix of kids and adults that spread out to bunk room and elsewhere, you should feel comfortable. The interior stairs separating the two levels are steep which can be difficult for young children or adults with mobility issues. Upper Level: Kitchen with laundry closet. Dining room and family room with vaulted ceilings. 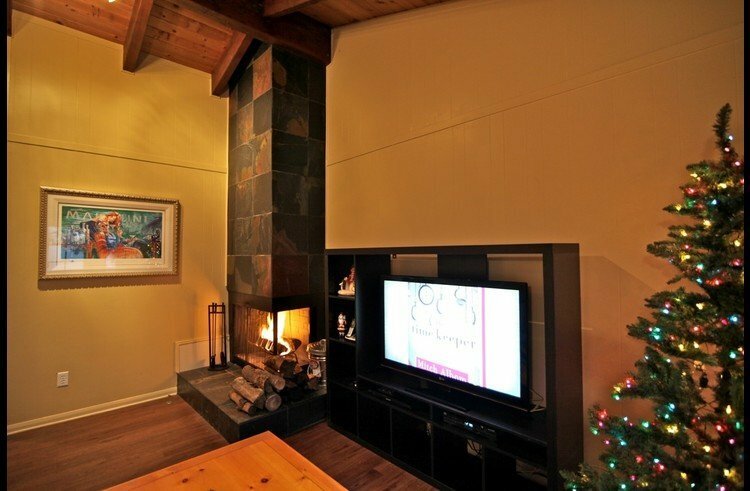 Family room has a custom slate wood burning fireplace and flat screen TV. Guest bedroom with a queen size bed. 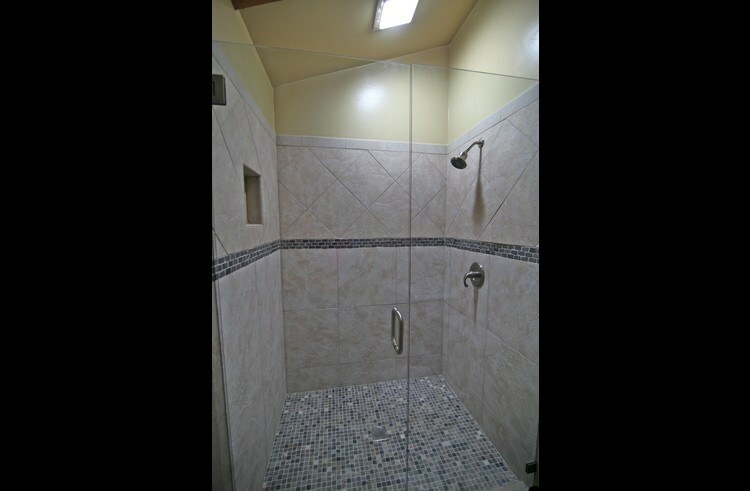 Bathroom with tub/shower. 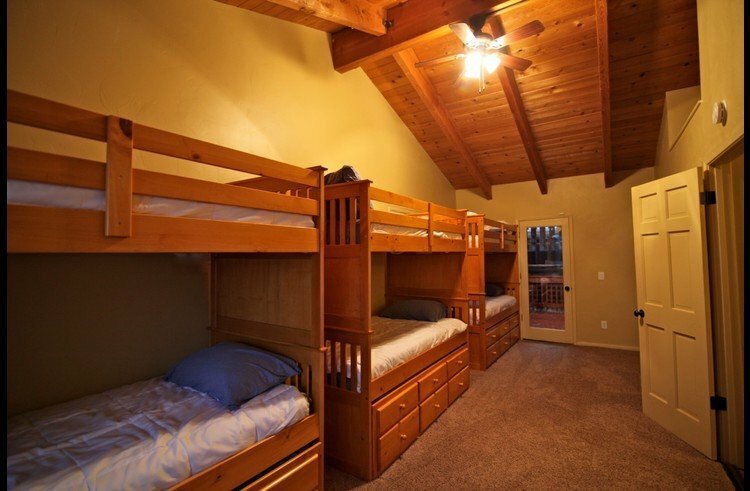 Large bunk room with vaulted ceilings...3 bunks that can sleep 6 and its own flat screen TV....great fun for kids, family and friends. Bunk room has its own attached bathroom with a large custom shower. Family room has a pull-out sofa with a full size bed. 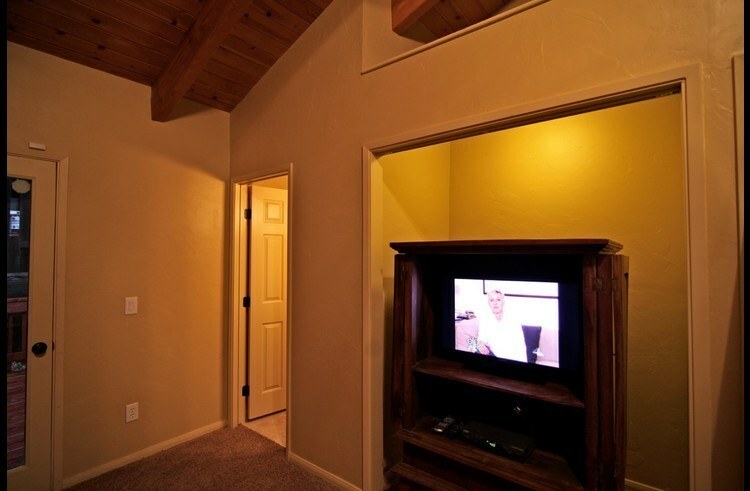 Lower Level: Master bedroom with King size pillow top bed and flat screen TV. 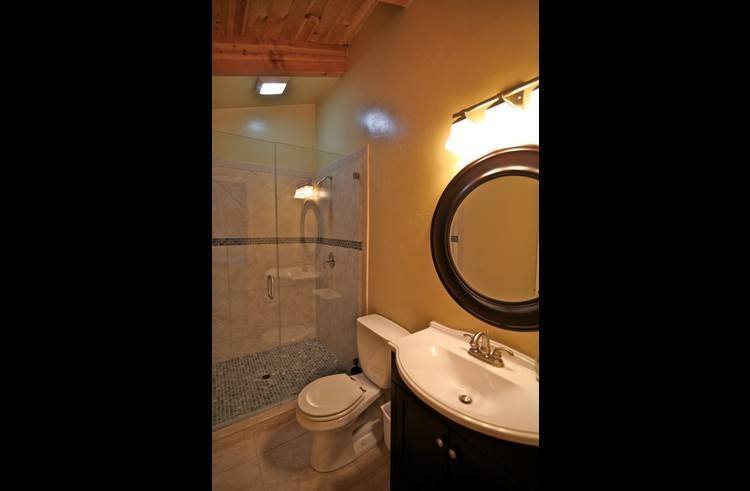 Full bathroom with tub/shower. 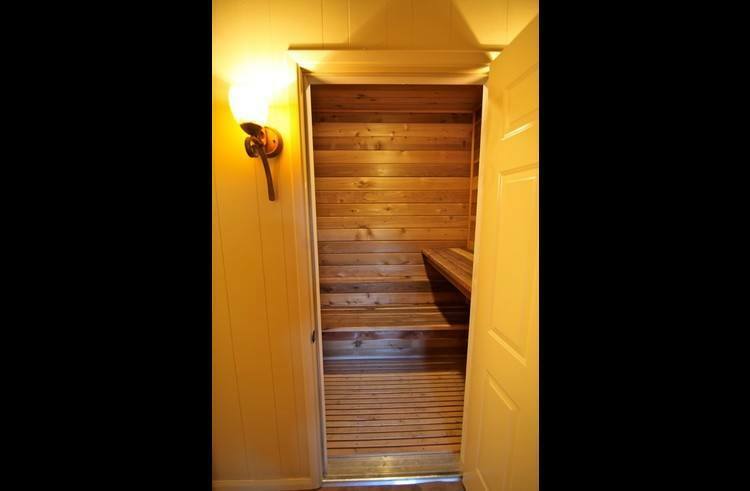 Custom built sauna room is located on the lower level next to the Master bedroom. The Blue Jay Retreat has central heat, but no air conditioning. Everything that was described to us was there. 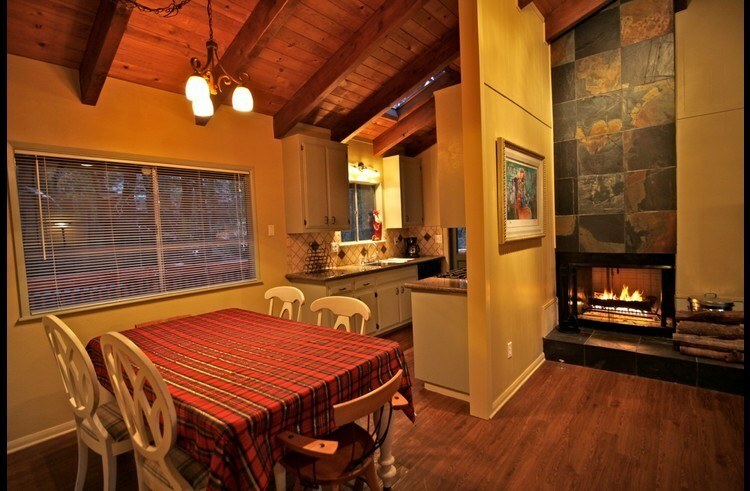 Ping pong table, fireplace, two televisions, and supplied kitchen. 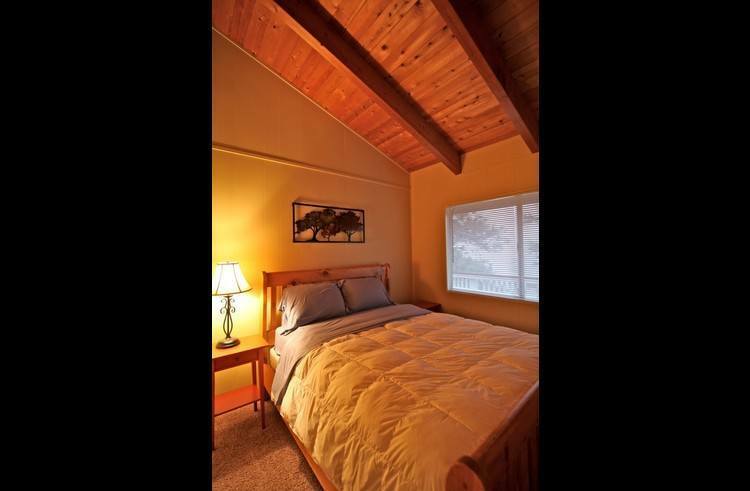 Easily enough comfortable accommodations for a group of 10, and great for the money. Grant made good recommendations of what to provide before we got up there. No complaints on the conditions - everything was clean and well-maintained, and the cabin was never too cold or hot. 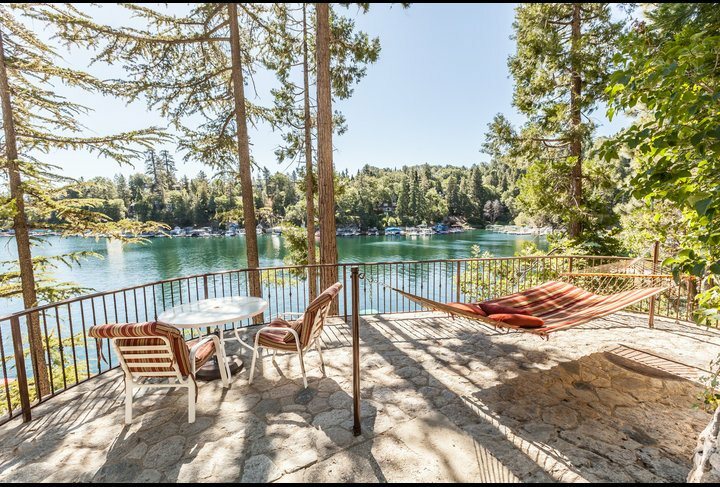 The best part was being very close to all the activities at Lake Arrowhead. It's only a 5 minute drive to the Lake and 2 minute drive to Blue Jay Village, which are pretty much the only places to go while at Arrowhead. We couldn't figure out how to use the sauna. There should have been instructions in the house binder. The chairs on the balcony were also dirty and flimsy, but there was not too much reason to sit out there in the cold anyway. 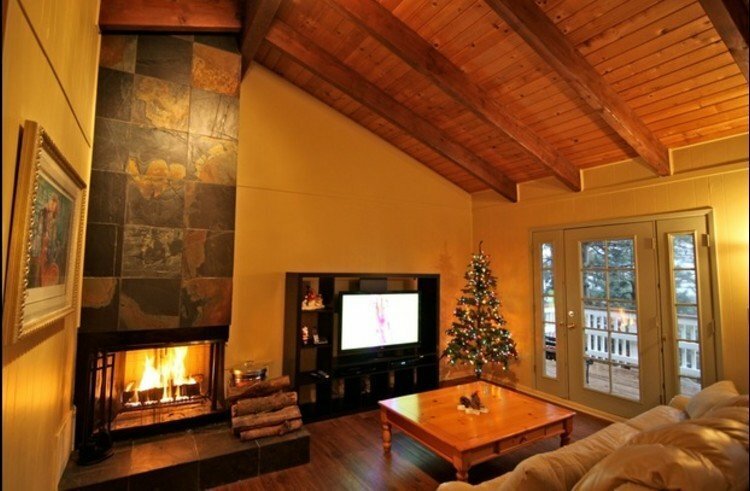 Great place to settle next to the fire while your friends are on the couch for a board game/movie night. I would stay here again as well as one of Grant's other properties. 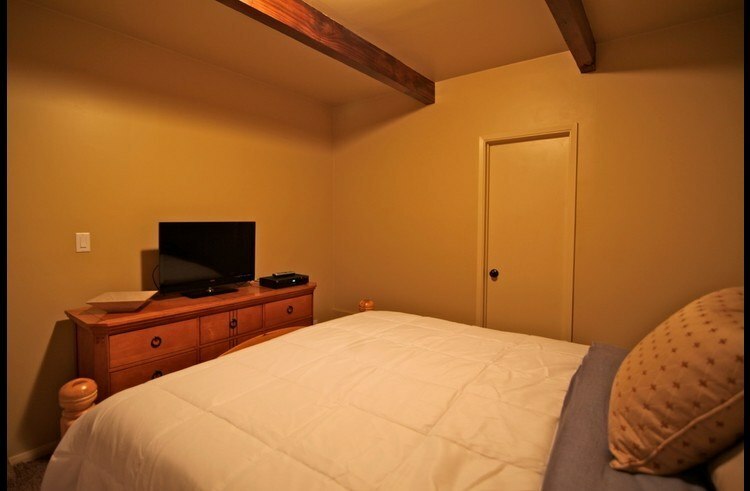 You can trust that your stay will be safe and cozy, no matter how many people you bring. We enjoyed our stay at Blue Jay. Make sure you realize there are a lot of stairs before selecting this house! As long as going up and down stairs aren't a problem for you, you'll enjoy the house. Grant was a great host, he was on top of communication and resolved our issue of needing a couple more pots very quickly! Would definitely stay here or at another one of their properties next time. Our experience at the blue jay retreat was wonderful. We all enjoyed ourselves, the view was perfect! There was a lot of room for everyone to move around. We definitely will make another trip up here and try to stay here! It was such an amazing cabin! Me and my friends we so bummed to have to go haha. Definitely recommend to others! We enjoyed our stay in Grant' place. The neighborhood was beautiful and close to Arrowhead lake. Ping pong was so much fun and the sauna was a bonus. I would highly recommend his place to everyone. host was quick to communicate! house was smaller than pictures show but was beautiful and super well decorated. 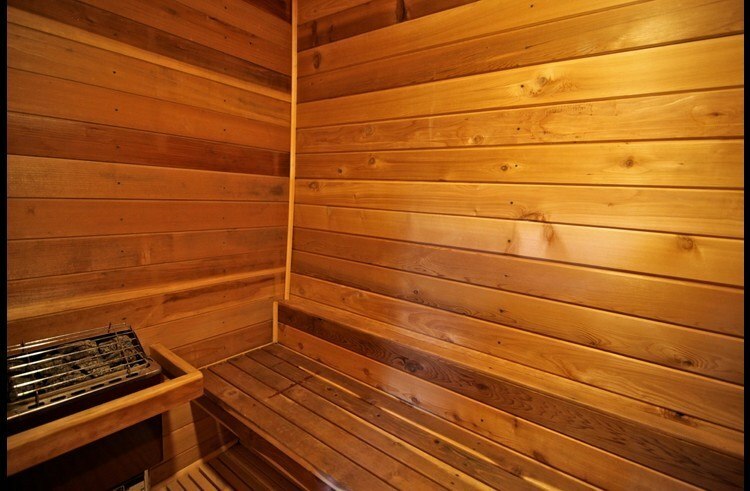 Sauna was a great bonus! Our family had a great time at the Blue Jay Retreat. It is a well kept home that felt like our own place. The Blue Jay Retreat is one of most awesome place I have ever stay in my life time! My family and friends are very enjoyed this house. I strongly recommend this Retreat to everyone! The host is very kind and nice, and always responded at first time! We definitely will plan to stay at host's other location houses! We had an amazing time! It was a great everything as described. Everything was modern and updated inside. Will do it again. Really nice area with a beautiful trail right around the corner! Grant was an amazing host. We never really had to bother him because everything we needed was at our disposal in his cabin. 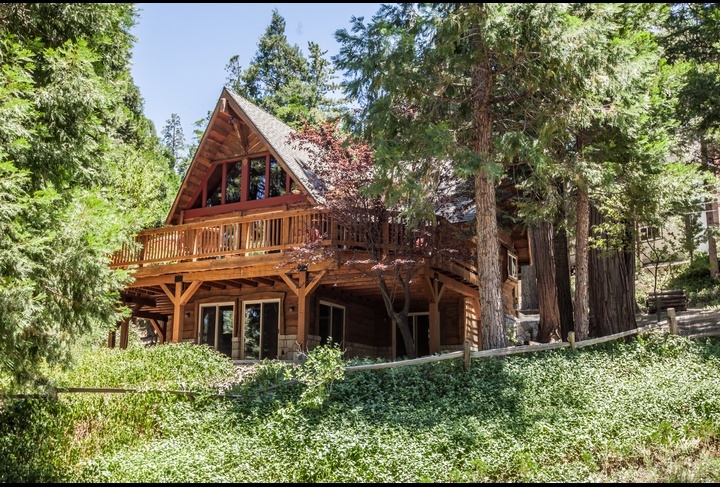 His cabin was simply breathtaking, with beautiful views surrounding the cabin. Thank you Grant for making our first air b&b experience a memorable one it was everything we anticipated and more. 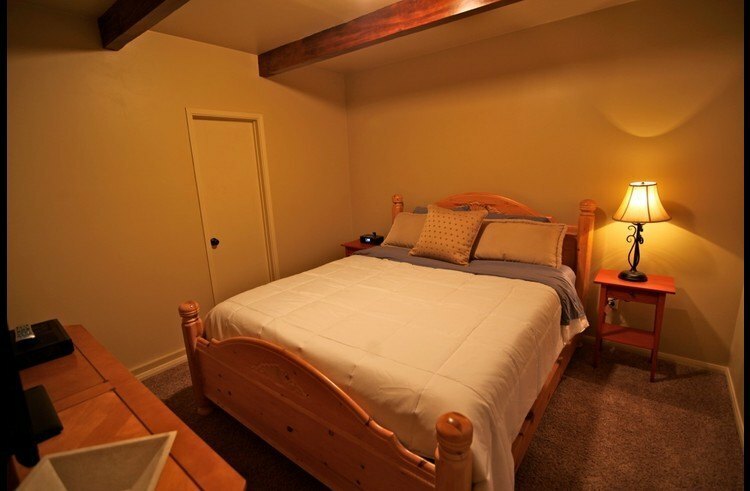 Everything about our stay was great and Grant was very responsive to our needs. 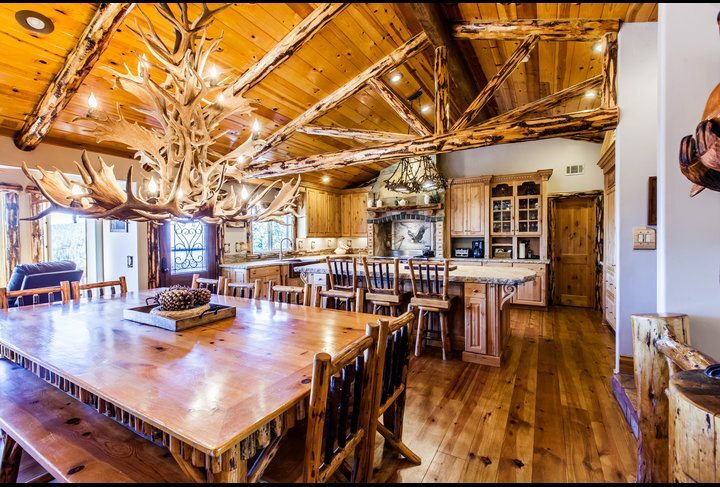 The cabin was just as we hoped. Next time I go up to Arrowhead I'll happily book with Grant again. Our experience was great! Good views awesome. Grant was a wonderful host, and his lovely home was even prettier than the photos! Very clean, and very updated. The only drawback was the stairs... My 80 yr old mother accompanied us, and the stairs proved to be a bit exhausting for her. We happily found a bedroom and full bath on the lower level for her that made things easier. Easy departure requests. Would definitely recommend! 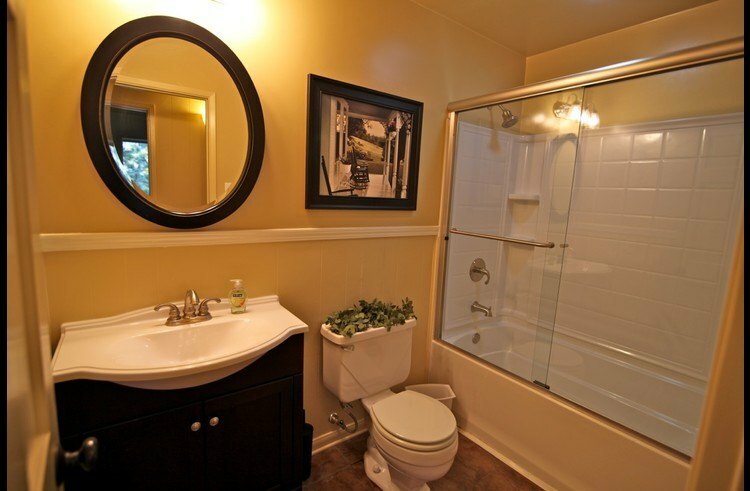 It is beautifully remodeled and very clean. 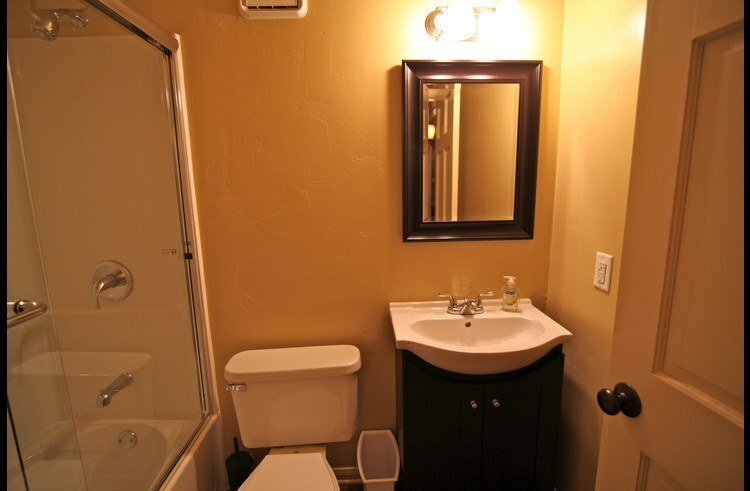 The three bathrooms are big and have nice amenities. 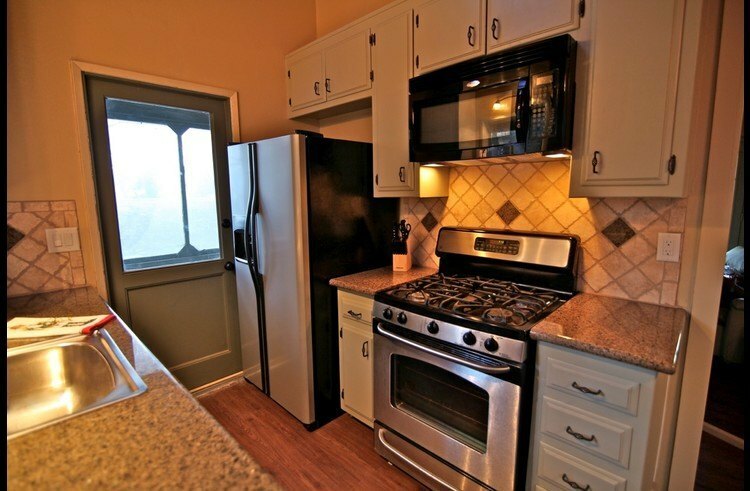 The kitchen is also nice and is well stocked. I cooked for five days for my family and it had everything I needed. There were extra blankets and sheets, and the washer and dryer was very nice to have. Wifi access was nice - big screen tv and two other tvs in the cabin. The owners are very nice and great with communication. We had a large group that included a mix of couples, single girls and single guys; all friends, ages 27-35. Given that the cabin has 2 private bedrooms and a third bedroom with 9 bunk beds, it's a good thing we are all good friends! The cabin was really awesome for hanging out, especially on the two amazing porches. Champagne brunch on the front porch was a beautiful experience and ping pong on the back porch was so much fun. For a large group, the cabin is really comfortable. There were plenty of linens, towels, and kitchen supplies for all of us. The location was great; right off of Highway 189, which you need to take pretty much everywhere. Parking was easy; plenty of space for our 4 cars. One thing to be aware of is the amount of stairs you have to climb to get in. We are all pretty fit and everyone was winded after carrying all of our supplies up all of the stairs. 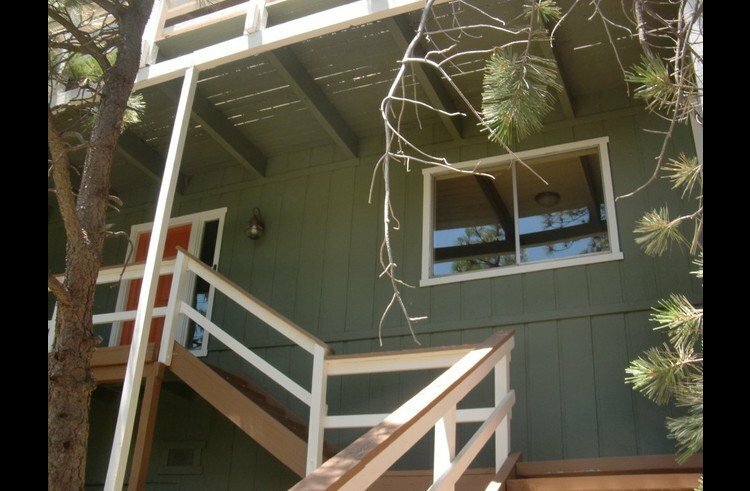 I would not recommend this spot for anyone with physical fitness issues, but the owners point this out in the description of the cabin, so it shouldn't surprise anyone who rents it. Grant was very cooperative, and flexible. We had to change a few things and he helped us accomplish that rather swiftly. We were very happy with our stay. Thanks Grant. Everything was excellent and we had a great time. Thank you!! The stay was awesome! Very happy with the Blue Jay Retreat. 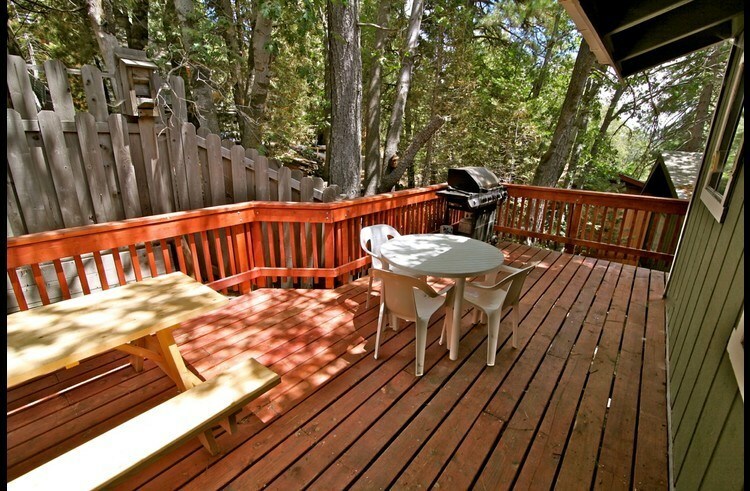 Add Review for Blue Jay Retreat - great views from the deck!